I received the serum from Amazon.ca The shipping was super fast I was VERY surprised. 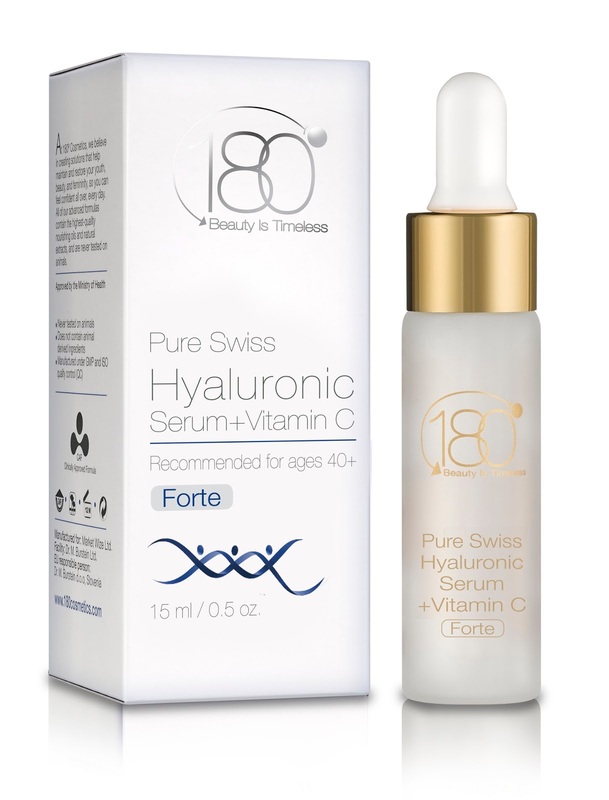 The Pure Swiss Hyaluronic serum acts like anti-aging solution. It regenerates skin cells and provides moisture. 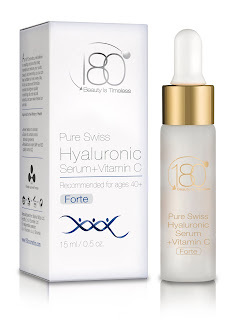 The Swiss Hyaluronic Serum includes natural ingredients and is enriched with vitamin C.
The Serum brings the elasticity to your face making it look and feel more youthful and super smooth. I saw a slight difference over 30 days. I used this as directed. I was able to safely use it under my makeup primer. I am only 28 so I would like to hope I don't have much to cover or hide yet, but there were some spots on my face I was paying attention to while using the product. My under eyes (yucky bags) and my cheeks. The product has a semi thick wet very absorbing formula. I applied the product on my spots in small circular motions. My face didn't feel tight but a tad tingly after about a minute after it was applied. I noticed a slight lift on the bags under my eyes. I didn't notice any difference on the rest of my face other than it was less oily during the day and night. If you are looking for something more natural and you are shall I say older I would honestly give this product a shot. its very affordable and might have more effect on someone with more wrinkles. I did enjoy using the product however I was looking forward to possibly having smaller pores, or smaller looking pores which did not happen. and might have more effect on someone with more wrinkles. I did enjoy using the product however I was looking forward to possibly having smaller pores, or smaller looking pores which didn't happen. What a great review and sounds like a product I need to check out more for my puffy eyes and skin! How great would this be, if this product helped reverse anti aging too! I have been using a Vitamin C Serum for several months now and I love how it brightened my dark spots and minimized my pores. This brand is new to me. I will check this out. Since I've known myself, I always had a problem with the dark spots under my eyes because of staying too long at PC. I think this product will help me and others cure that. I hope I can keep my youthful glow for a while but if I can't I will need something that will work. I am funny about using products without researching the reviews and this would definitely help me when I make a choice. Most Asians have younger looking skin but it still helps to use some products that will boost moisture especially on the face. I like having smooth and rejuvenated skin all day. It's great that we don't need surgery or botox to eliminate eye bags. How long does it usually take before the effect of its application will be reflected? I use Hyaluronic serum and vitamin c serum everyday. I absolutely love the result. My skin looks healthier, younger and smooth. I use at least 7 skin care products everyday. I never tried this brand before. Ugh it seems like since I turned 30 my skin has become very needy! This sounds like a great serum. It seems like a whole new world to me with these products, great reviews. I really love a good serum and have started using them the past couple of years. I don't think I've tried this one yet but I'd like to when I finish my current one. I try all sorts of them and so far so good. I love that you are already seeing results after 30 days. It would be worth trying for sure. I like that this product has the ability to regenerate skin cells to provide an anti-aging effect. That is something that will definitely contribute to a more youthful appearance. I like to think that the tingly feeling means that a product is working in a good way. If no tightness or redness occurs, then I would use a product like that again. I've seen so many people talking about this hyaluronic acid. I've never tried it before, but it does look like it might be worth checking out. My skin is extremely sensitive. I can never use any of the beauty things people often rave about.